We need to mention the new collection from designer Umit Benan Fall/Winter 2019 080 Barcelona. Yes, you’ve read well, he’s presenting in Barcelona, Spain. A herald of design as storytelling, Umit Benan explores the metier of fashion-making as something more than a seasonal proposal of new silhouettes and shapes, simultaneously avoiding the trap of image-making as a virtual style exercise. As he focuses on real clothes, meant to be worn by real men, Umit’s aim is always to convey a broader message, which is invariably linked to the world he inhabits and the things that affect him. 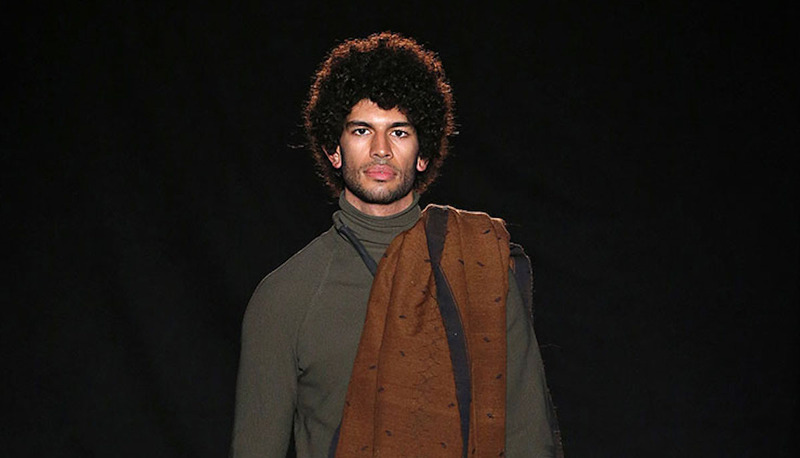 As a muslim man living in a polarized western world, and ever a herald of assertive masculinity, Umit Benan channels the controversial character of the black muslim in his new collection. The field jackets, leisure suits, caftans, classic sartorial coats and cardigans are his interpretation of fashion’s meant to hit the street. Umit Benan wanted to be a filmmaker, but diverted to fashion rather naturally, keeping the urge to tell stories intact. He makes no real distinction between life, fantasy and fiction because really there isn’t one. “I am interested in contrasts. That’s what life is all about, isn’t it?” he says. His clothes – real, bold, imaginative – follow suit. Aesthetic imprinting leaves an indelible mark on fertile minds. Umit Benan was born to Turkish parents in Germany in 1980, and raised in Istanbul. As a kid in the 80s, he was bombarded with the assertive fashions and powerful masculine visions of the time, thanks to his clothing manufacturer father. As a teen in the 90s, he absorbed the contrasts and layering of the decade while growing up away from home at boarding school and university, in Switzerland and the US. His utterly personal point of view stems from these roots. After graduation, Umit landed jobs with prestigious designers in New York and in Milan, where he finally settled in 2006. He launched his eponymous line in 2009 and swiftly won the 1st edition of Who’s on Next/Uomo contest the year after at Pitti Uomo.